My family knows I’m a homebody. I usually don’t go to a lot of outings where there is a crowd of people. So when I got an invite from a cousin to go to dog show and help her, I even surprised myself and said “yes”. I am not an animal person. Don’t get me wrong, I like most pets but I just don’t have that passion for the fur babies. My cousin, Betty came to pick me up. I see that Betty is holding her Shih Tzu, Lucy. I opened the car door and there setting in my seat is a Shih Tzu name Rosey. I picked her up, got in the car and held her in my arms for the drive. What a sweet puppy she was, not wiggling around or even wanting out of my arms. Betty and I chatted during the drive and she found out that I wasn’t an animal person. I think I freaked her out for a minute or two. I bet Betty was thinking: what did I just do, inviting her to come help me when she doesn’t even care. Betty was awesome. We talked about what I needed to do in order to show Rosey around the ring. She gave me some insight on what to expect since I had never attended a show before. We talked about Betty being a volunteer at a rescue for Shish Tzu’s. She sure does love this breed. Betty is very passionate about her babies. I can’t blame her. They are awful cute. We make it to the fair grounds and unload the car. To see both of us holding dogs and trying to get things out of the car was a site. It reminded me of the old black and white comedies, like Abbott and Costello. We finally get things in order and Betty begins to groom (primp) the dogs. Rosey did not like this part. Lucy was great. Lucy liked all the primping and attention. We had a few minutes before things got started so I set back and began people/dog watching. These folks take things very seriously. I can see how dog shows can become a career. Everyone was engrossed in the pets. Grooming, practicing commands, and practicing the walk in the ring. It’s all very time consuming and takes a lot of patience. This show was for the UKC (United Kennel Club). This is where the dog is judged and given points based on their placement in the show. It’s a big deal for all involved. It’s our turn for best in breed. Since I have never done anything like this, I make Betty go first so I can mimic her showing Lucy. Betty and Lucy did so well. Now it’s my turn. I take Rosey around the ring. I think I did pretty well for the first time out. Lucy takes first place and Rosey takes second. Not too shabby. 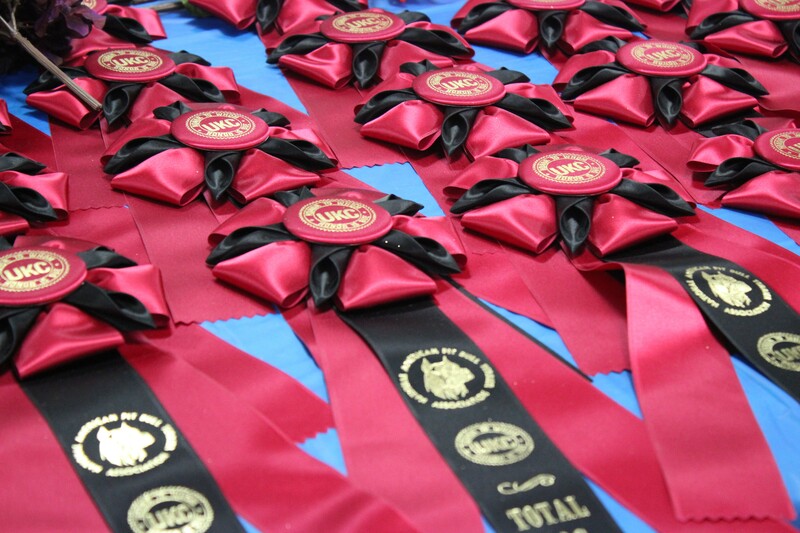 The second round for best in breed for companion class. I am watching others show their dogs and I realize I did something wrong in the first round. I had Rosey on my right side not my left. I know a rookie mistake. The rule is to always have the animal between you and the judge. I did not know this rule. But I do now. Rosy took first place and Lucy came in second this time around. The third and final round was for best in show for the companion class. 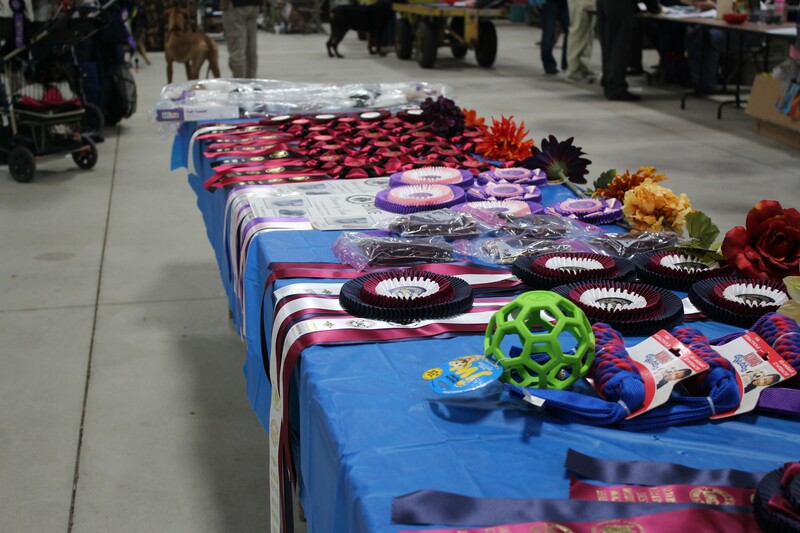 This is where all the small dogs are judged at one time to determine the best overall. Poor Rosey and I didn’t make the cut on this one. But Lucy and Betty did. They finish third in the Best in Show Companion class. Not too bad for a rookie never showing a dog or even attending a show before. I hope I got all those classes and best of’s correct. If not, I apologize to the UKC folks. I have gained a new respect for dog owner’s, they are so proud and committed to their pets. This was a great new experience for me and I had a blast. I would do it again. 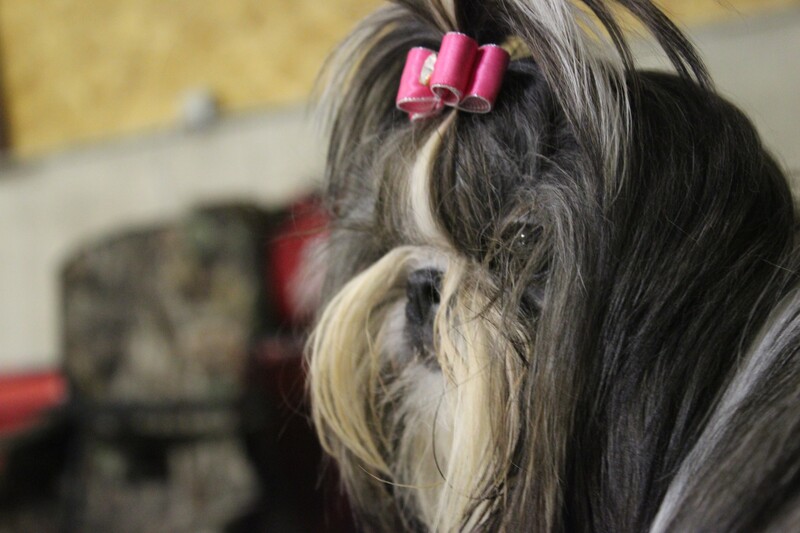 If you want to check out or donate to the help Shih Tzu rescues, please click on the links below. 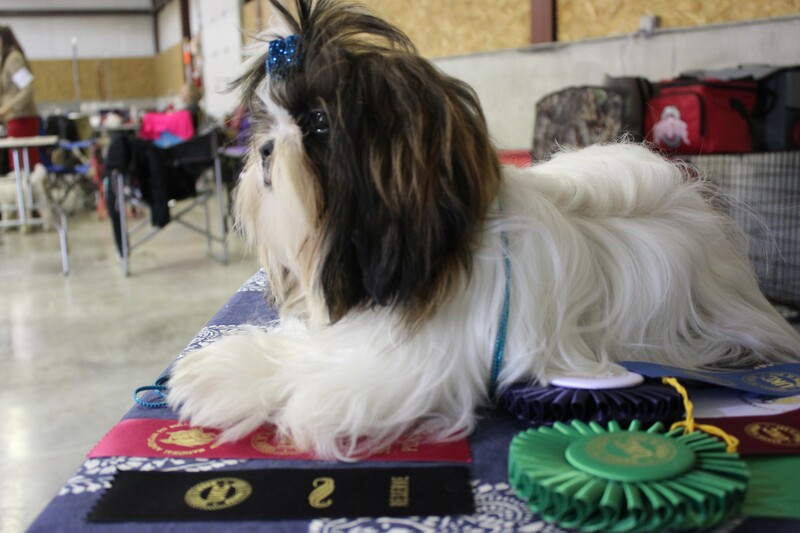 Categories: Adventure, Just Because, My life | Tags: adventure, Comfort zone, cousins, Dog Show, Happiness, Joy, my life, SASS Rescue, SHih Tzu, UKC | Permalink. Talk about stepping out of your comfort zone!! Great job and interesting perspective. You could always be a foster mom to a fur baby!! I was out of my comfort zone, but I am so glad I took that leap. I had fun and learned so much. I need to do that more often. Thanks for the compliment. I’m not sure about being a foster mom. My world is changing and I just don’t want to make that type of commitment and the fur baby suffer from that. It would be fair to them. Maybe in the future. You are too kind, Betty. I had fun. 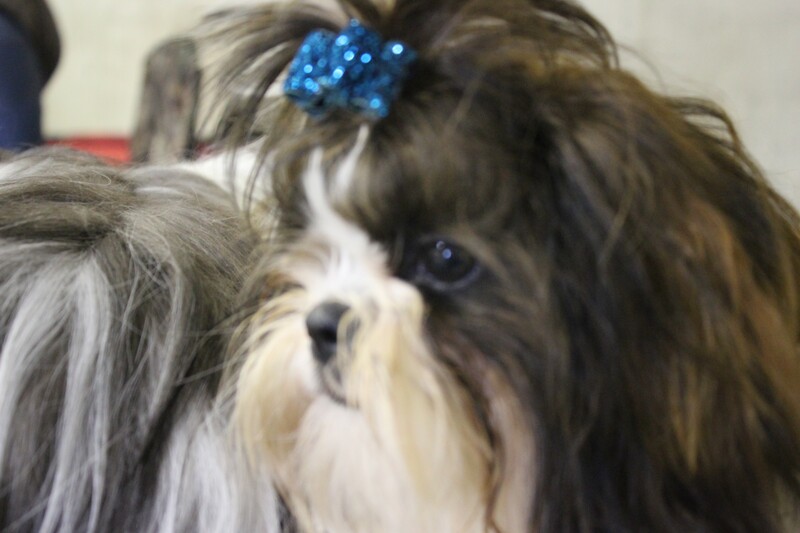 Thanks for teaching me so much about Shih Tzu’s and sharing your passion for this breed of dogs. I would gladly do that again. You are right…we do need to hang out more. Thanks again for asking me to go with you. You are a lot of fun to hang out with. Great job! Maybe you’ve found a new hobby!! Sounds fun! How wonderful that your friend took the risk to invite you into her world, and equally great you said yes! My cousin Betty is amazing. She is kind, sweet and is always there when I need her. She took a big risk that day and I am so grateful I did say yes. We had a great time and I would do it again in a heartbeat.